“The whole point of market research is to understand consumer behaviour and decision making. In the early days of the industry, there was very limited science or technology available to support researchers and their clients in this quest – but we made the best of what there was based on the thinking of that time. Training in Africa Programme Manager GFK Verein, and former Chairman, GFK NOP. The ability to share information easily, quickly and effectively is imperative in today’s fast paced market. 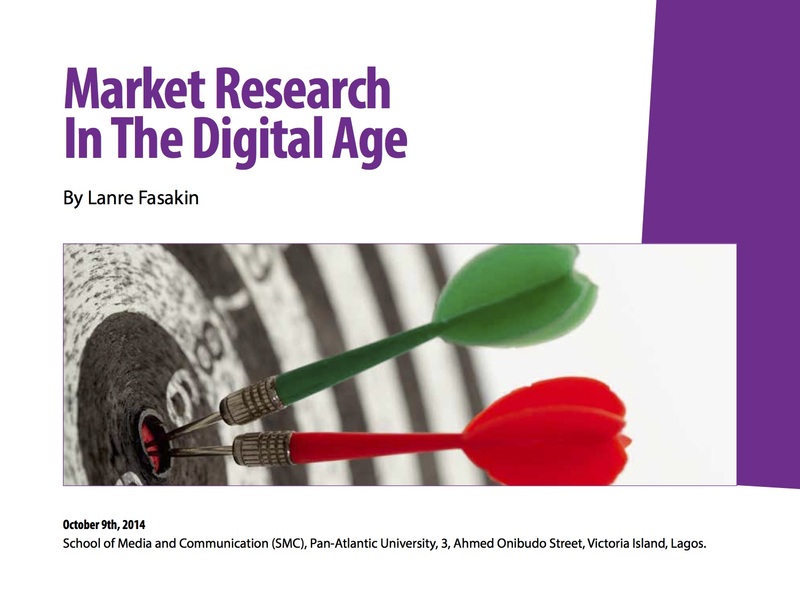 Coming from the era of slide rules and Four Figure Tables, the profession of Market Research can be said to have come a long way as two routes; Traditional and Digital now exist. Essentially,whilst Traditional research dwell on“reported/ claimed” behaviour, Digital research practice offers “in the moment” opportunities and dynamics. © 2016. CMRG Limited. All rights reserved.